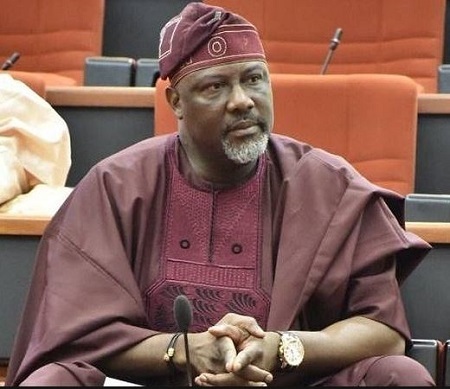 Controversial Senator, Dino Melaye has provided reasons he is hiding from the Nigeria Police Force. The lawmaker, in a tweet on Tuesday evening, compared his predicament to that of Elijah in the Bible, vowing to remain in his hideout. Cnnaija had reported that Senator Melaye, who alleged that the Inspector-General of Police, IGP Ibrahim Idris will inject him (Melaye) to death if he is arrested, has been under police siege since last Friday. The Force had also vowed to remain at Senator Melaye’s residence until he comes out of his hideout and surrenders. Melaye wrote, “The Bible record prophet Elijah to be among one of the strongest prophets that lived, but he went to Mount Carmel to hide when king Ahab sought him to kill him because of the way he boldly declared the truth.